I love when a mistake ends up becoming a good thing, especially in the kitchen. Like the time I used my mom's fancy port when making spaghetti sauce. Because at 12 years old, the bottle looked like wine to me. Turns out the sweetness of port adds a nice touch to a spaghetti sauce. Now I add 1 TBSP of brown sugar and shredded carrots to my sauce to get the same effect (plus actual red wine). Sometimes accidents don't turn out so well. Like the first time I made spaghetti sauce and added tarragon. All I remembered was that my mom put a lot of green herbs into the sauce. Turns out, tarragon wasn't one of them. Same dish, 2 very different outcomes. 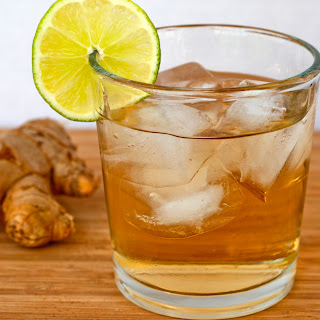 Last year, when going to order Matt a jim beam and ginger ale, the bartender thought I said gin and ginger. This left Matt with a very unpleasant and surprised cringed face. Can you imagine expecting bourbon and getting gin instead?! I offered to go back and get him a new one but he said it was fine. On second sip, expecting gin this time, he decided that it was actually pretty good. A few sips later he declared it his new favorite summer drink. I'm not a gin lover so I was hesitant to try it. But even I have to admit, it's perfection. It's crisp and clean with a bit of a floral bite from the gin. Refreshing is the perfect way to describe it. We named it the happy accident as that's exactly how it was discovered. With summer upon us, I couldn't think of a more perfect cocktail to share with you. you could totally overcomplicate this if you want. elderflower liquor or a splash of something citrusy would be a welcome addition. the whole K.I.S.S. (keep it simple stupid) rule really applies here. 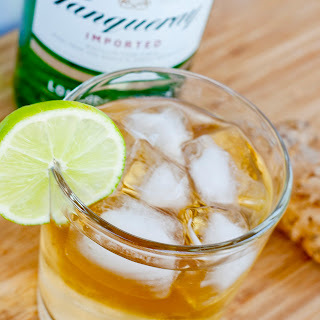 any brand of gin and any brand of ginger ale will work. if you're into making everything from scratch, try making my friend over at a sage amalagam's homemade ginger ale. She adds some fun spices to her mixture wich would be a great twist to this cocktail. 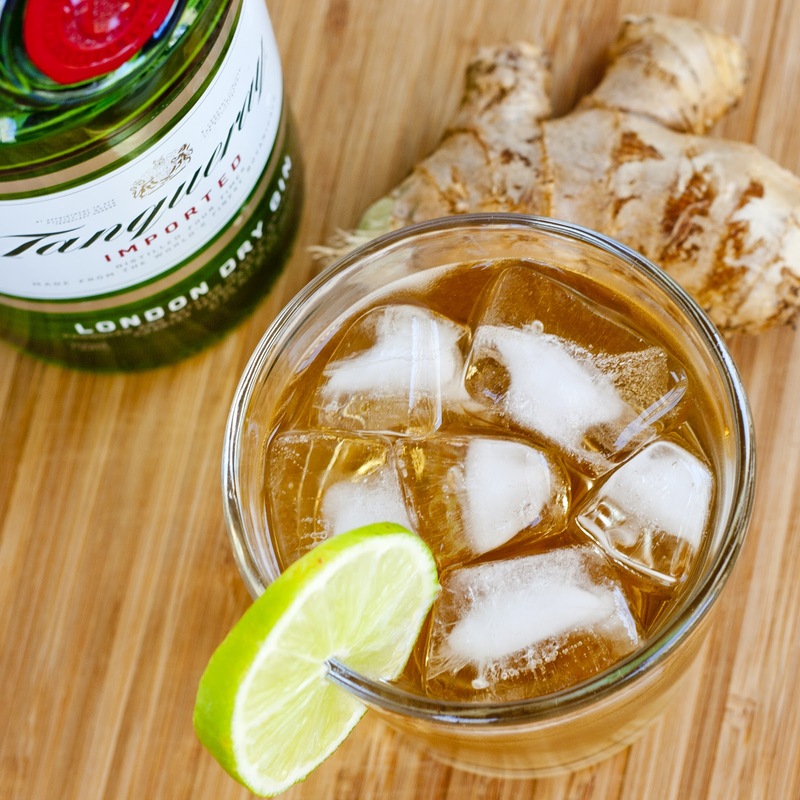 If you're going for simple, you could leave those out and just make the ginger simple syrup. yum! i'll have to give this a go -- i love pimm's (which is gin-based) and ginger ale, so it shouldn't be a hard sell :).